Perth has done this, primarily because it’s been the easiest way of extending the train network. 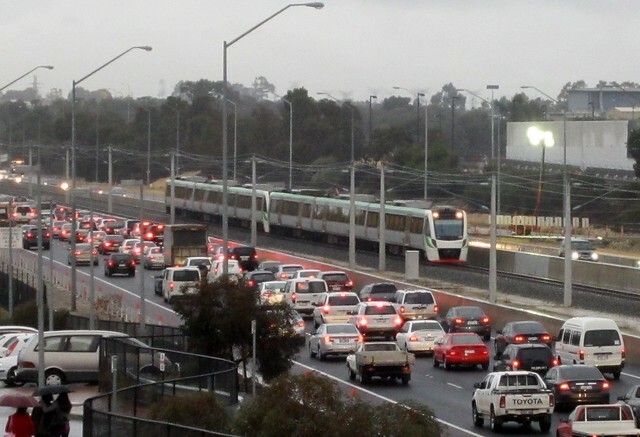 So the Clarkson/Joondalup and Mandurah lines both run down the middle of freeways. And it’s long been proposed to build Melbourne’s Doncaster line this way, which I think makes a lot of sense. As I’ve noted in the past, you are pretty much killing off any pedestrian use into the stations… and this is actually how the bulk of people reach railway stations in Melbourne at present. You either end up having to put in lots of car-parking (which on level ground can cost tens of thousands of dollars per space, let alone the astronomical cost of multi-storey — and severely limits your patronage, as well as denying access to those who don’t/can’t drive) or you have to bring in people by feeder bus — which needs a lot of effort/cost to make it work well. Perth has actually made the effort to put in reasonable connecting buses at some of its stations, and (from what I saw waiting around at Murdoch in the evening peak) these are pretty well used, though the adjacent car parks were busy too. Stations in freeway reservations are also unlikely to be destinations, because shops, universities, businesses and so on — all the things that have grown around most of Melbourne’s suburban railway stations — won’t develop. These are important to make stations and trains well-used at times other than peak, and make the whole thing more viable, by catering for more than just CBD 9-5 commuters. Let me tell you, it was great being in a train overtaking all the peak hour traffic on the Mandurah line. The trains were fast, frequent, and very popular. Frankly, it was equally great being in a car in peak hour traffic being overtaken by trains. But this only happens when the traffic is heavy. At all other times, including the peak-shoulder, trains don’t overtake cars because the traffic is moving faster. Trains are at a particular disadvantage in off-peak hours, when the cars zoom along, and trains are less frequent. The result is — especially if you’re sitting at a station — the disheartening sight of waiting for 10, 20, 30 minutes while the traffic whizzes past you. That’s not a great advertisement for public transport; it’s a great advertisement for driving. And if you’re driving and the average speed of the train is about the same (eg car at 100 kmh versus train at 130 kmh but with regular stops) you might not see any trains in the direction you’re travelling (only in the opposite direction). Again, that’s not a great advertisement for public transport. Don’t get me wrong — a railway line down a freeway is better than no railway line. 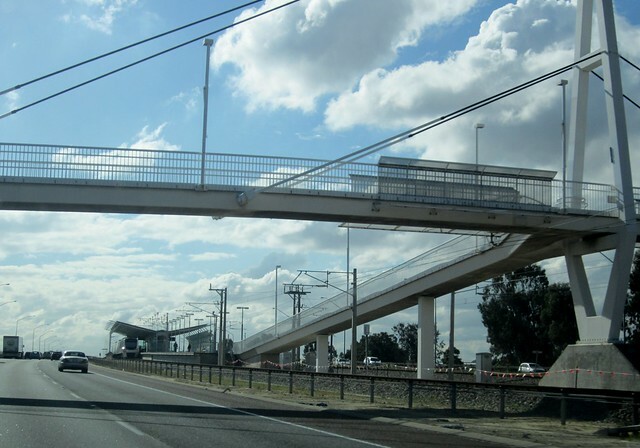 For instance in the case of Melbourne’s Doncaster line, a very obvious easy affordable project would be a “phase 1” from Victoria Park to Bulleen, with a bus interchange at Bulleen. That would get thousands of passengers on scores of at-capacity buses out of inner-city traffic on the freeway and Hoddle Street, and encourage thousands more to get out of their cars. But overall, down freeways is not the first choice for where you should build railways. All good things come to an end, and so it was with our Perth trip. We had a sleep-in, then packed up our stuff into the car and headed out. The flight wasn’t until lunchtime, but we had one more place to go before heading home: the boys have a strong interest in retro video gaming. (I can’t imagine where they got THAT from.) There are two retailers you can buy this kind of stuff from: Cash Converters, and a small chain called Gametraders. So we arranged for my aunt to drive us to the only Gametraders in Western Australia, which is in a shopping centre called Centro Galleria, in the suburb of Morley, fortunately not too far from the airport. “Kate” (the name my aunt has given to her GPS unit) guided us there, and the boys had a happy time looking through the range, and buying a few ancient cartridges to play at home when they got back. From there we headed back to the airport. I’d checked-in on my mobile phone earlier, but this time we were able to check-in our suitcase (arguably it’s quicker at your destination to leave it as hand luggage, but it’s less hassle wheeling it around the airport while you wait if it’s checked-in), and we also elected to get printed boarding passes, since on the mobile it had been a bit laborious calling up the three of them onto the screen when boarding. While we waited we got a snack: some wedges (a reasonable-sized tray; enough for the three of us) and a drink. I got a copy of The West Australian to read on the plane, and Qantas were giving away The Australian as well, so I had plenty to read. The flight itself was fine; no delays. 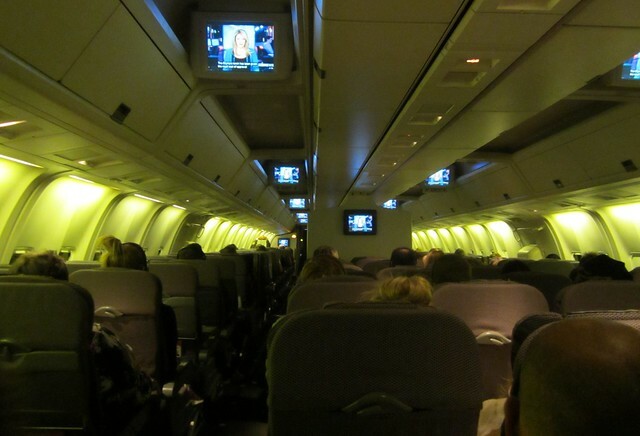 The in-flight movie was Game Change, about the 2008 US Presidential Campaign, and Sarah Palin in particular. I found it interesting, though the kids were completely bored by it. Fair enough. After landing, we did our usual thing: luggage, Skybus, then train home. The two-hour time-difference resulted in a little jetlag, but it certainly didn’t detract from a great holiday — thanks in no small way to the extraordinary hospitality of my aunt. Thanks Aunty! 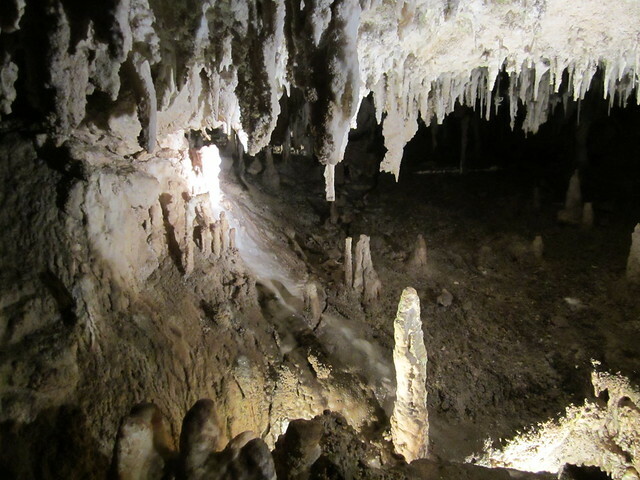 We’d be heading from Margaret River back to Perth today, so we packed up the serviced apartment and loaded everything into the car, then headed to cave number two of our tour: Lake Cave. 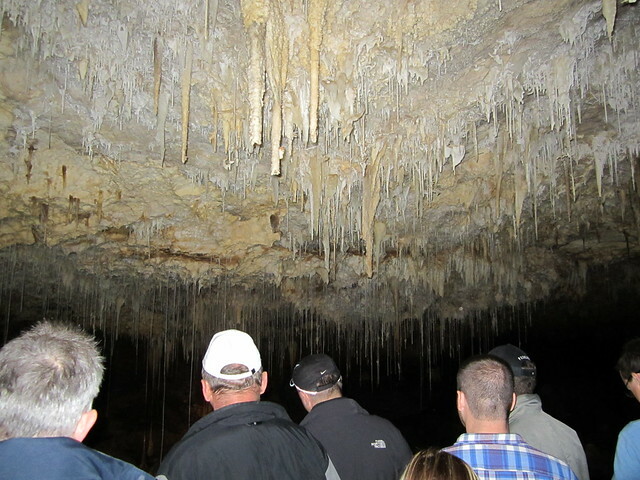 Lake Cave has guided tours, and while we waited for it to begin, we pondered the displays and the new-fangled terminology used. Their “Caveworks” display is not a museum exhibit — it’s an “eco interpretive centre”. 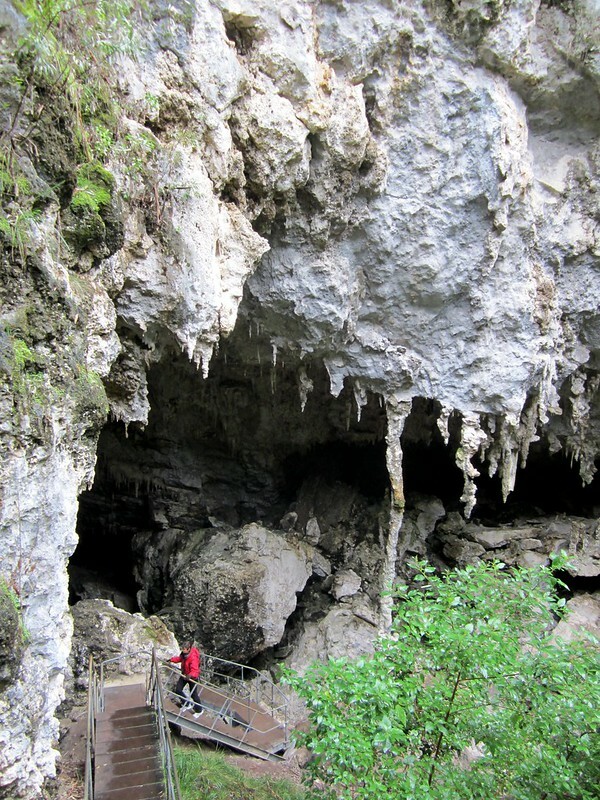 And these are not just caves inside national parks that you can look around — no, they’re “living windows”. 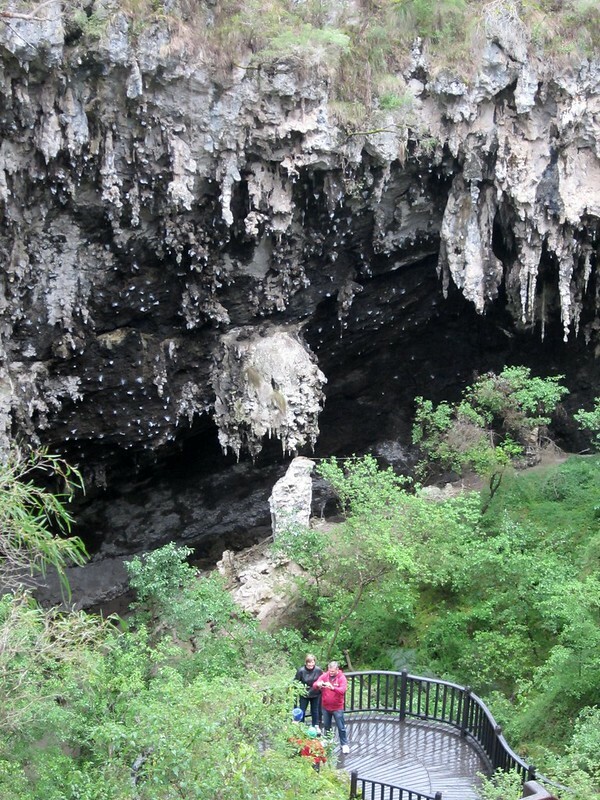 The cave itself, like Jewel Cave the day before, is quite spectacular, particularly the steps down to the entrance mouth, which is itself a collapsed cave. Inside there were some amazing formations, and the guide noted that in the early days of cave exploration and tourism some damage had been done as there wasn’t much care taken by visitors. 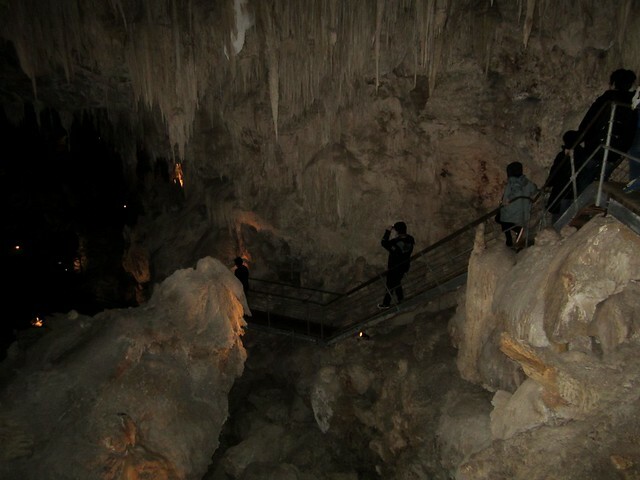 On to Mammoth Cave, which includes no mammoths. 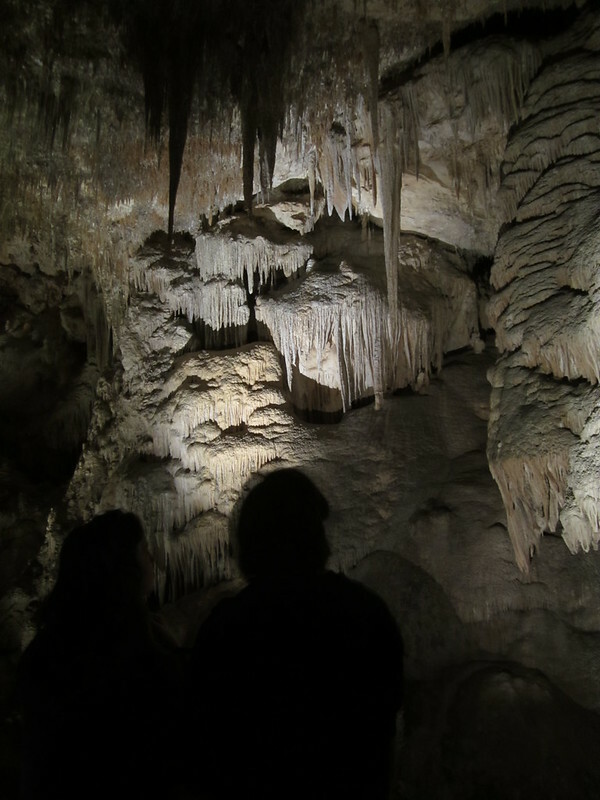 It’s self-guided, using an industrial-strength iPod, and again, was spectacular in quite a different way, with vast caverns to explore. The way out reminded me a little of the Mines of Moria in the Lord Of The Rings film. 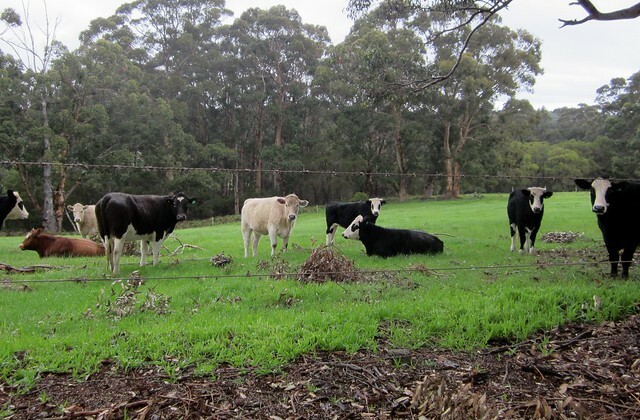 After all those caves, we craved lunch, and after a quick look at the Leeuwin winery (where I took a photo of some very wary cows), we ended up stopping off at the very impressive Voyager winery for food. It was so amazingly pristine that it gave me the impression of being a product of the slave trade, and they had the most massive Australian flag you’ve ever seen. We had a very nice, very posh lunch there, then headed north. 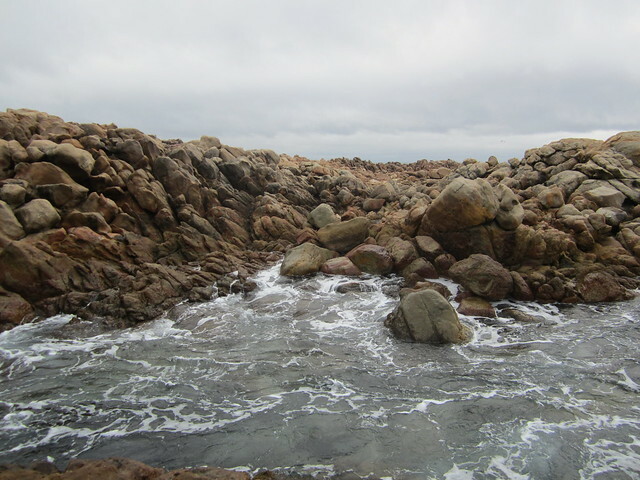 Our next stop was the amazing Canal Rocks formation, near Yallingup. 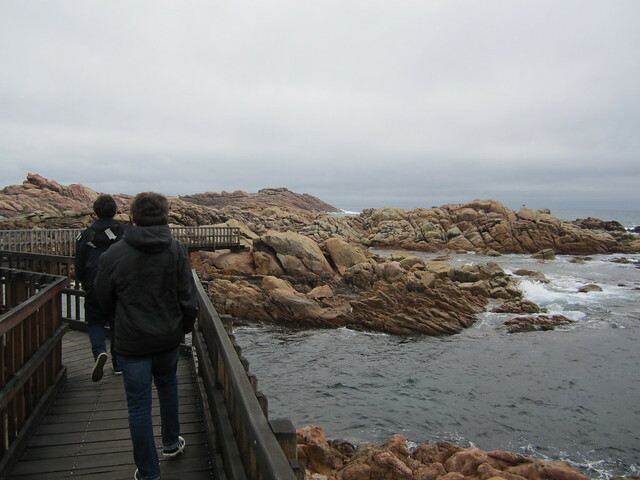 We clambered all over them to have a look. 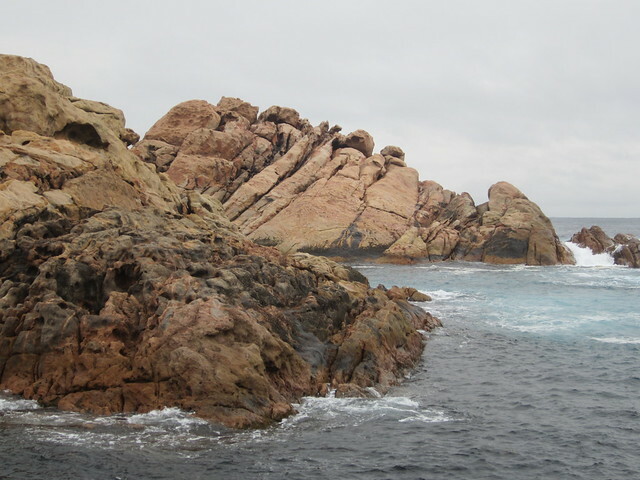 My aunt reckons the same rock formations can be found in Madagascar, showing that we were all once part of Gondwanaland. It’s hard to describe them, so I’ll just post a few pictures. 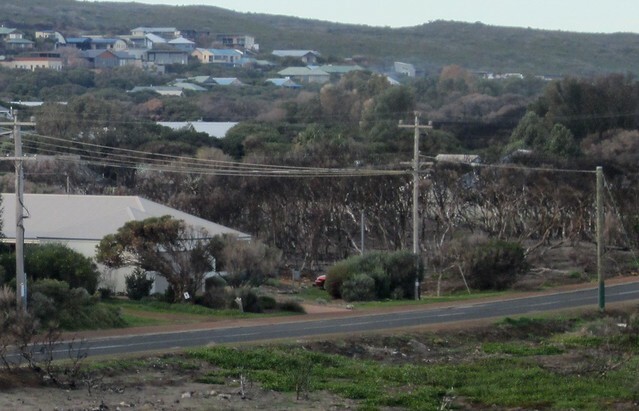 North again, and another brief snack and toilet stop at Dunsborough, with each of us devouring something tasty from the bakery there. 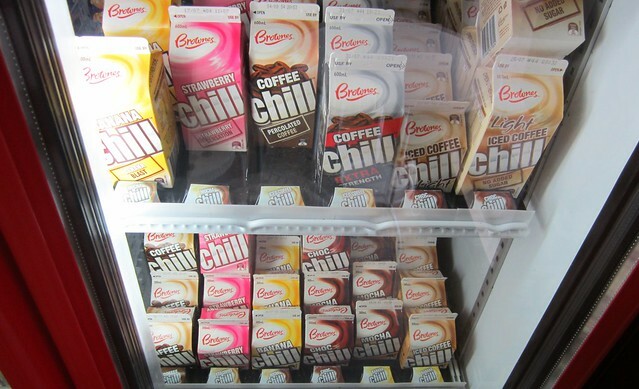 The boys, despite their unfavourable review of Spearmint milk a few days before, were rather impressed with the wide variety of flavoured milks in the bakery fridge. 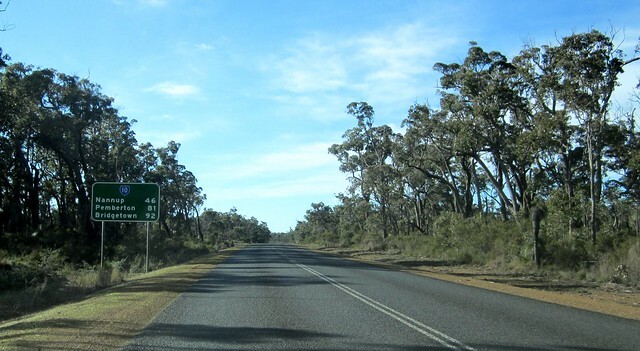 Then it was the drive back to Perth, happily against the peak hour traffic, which was pretty busy at that time of day. After arriving back at my aunt’s house and unpacking and having a rest, we headed out for dinner: at Sizzler. Sizzler is something that used to be common in Melbourne but has disappeared now… according to the Sizzler web site, they’re only now in WA, Queensland and NSW. It’s all-you-can-eat buffet, surely words of joy to two hungry teenagers. The pricing is such that you basically order a main meal and get bottomless salads, pasta, soup, desserts and other yummy stuff all included. My recollection is that Pizza Hut restaurants in Melbourne used to do a similar deal (but more pizza-oriented, obviously)… but Pizza Hut seems to have got out of the restaurant business; they only really do takeaway now. Sizzler was pretty busy, even on a Tuesday night. Cunningly, they feed you “free” cheese-on-toast while you wait for your meal to arrive, surely a strategy to get you to fill up on the cheap stuff and eat less from the buffet. The food itself is reasonably tasty. We all know that the deal is it’s not going to be fine cuisine, but neither is it horrible greasy euchy fast food. I lost count of the number of times we went for refills of everything, but by the time we finished we were thoroughly stuffed full of food, and waddled out, very satisfied after a long day of travel. 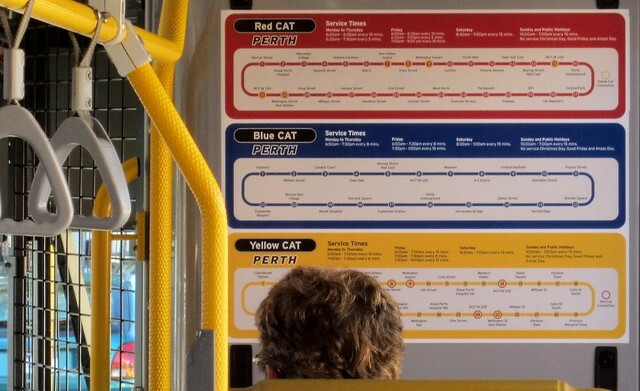 Perth’s CAT buses: lessons for Melbourne? 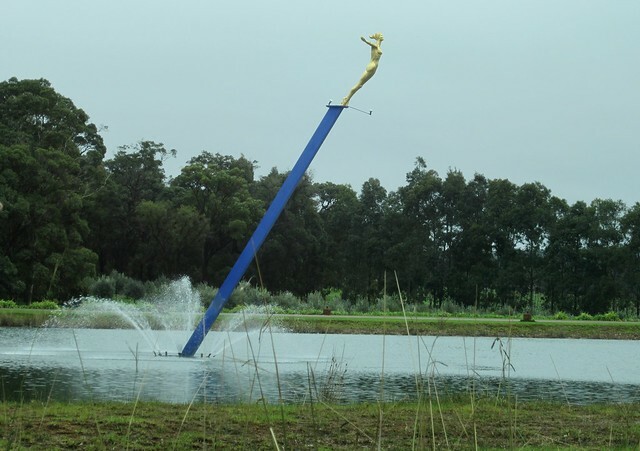 Another in a series of posts about Perth PT and how it relates back to Melbourne. 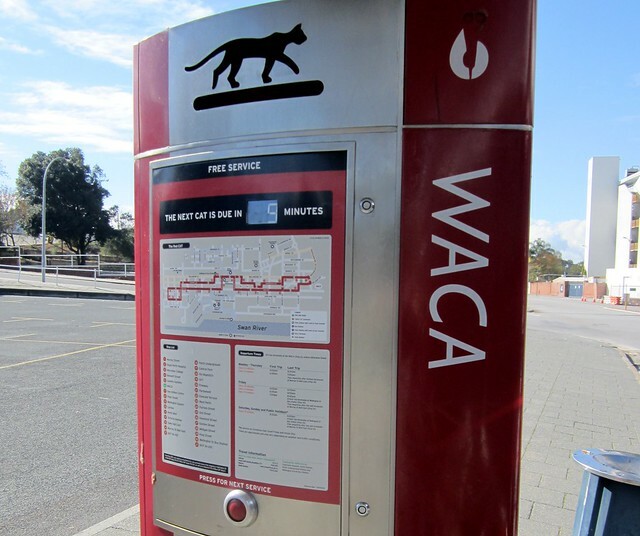 Perth’s city centre (and town centres of Fremantle and Joondalup) have CAT buses — Central Area Transit — free services running (reasonably) frequently in loops that people can hop on, hop off to get around. They are very popular; those I saw in Perth and Fremantle were often busy, and one Red CAT we caught in Perth got close to capacity at one point. 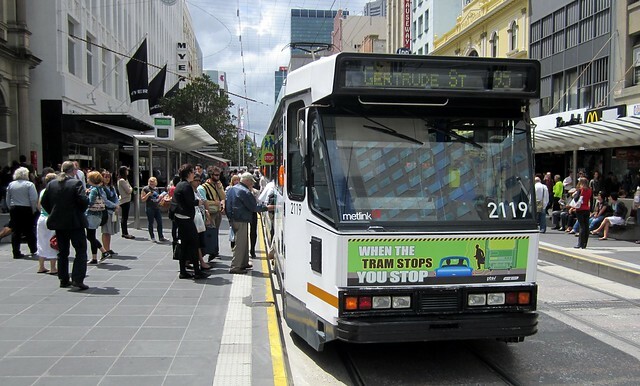 Alongside the CAT buses, central Perth also has the Free Travel Zone, which gives you free travel on any train or bus within the central area using a SmartRider card. Firstly, they are used for high-volume hop-on, hop-off trips. If the drivers had to check or sell tickets, they’d be too slow. In Melbourne this isn’t a problem, because almost all CBD travel of this kind is performed by trams, where drivers don’t have to attend to tickets. 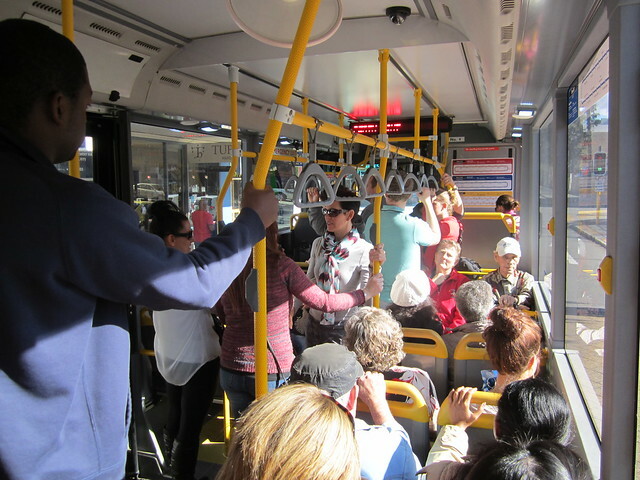 In fact, many of Melbourne’s trams are much higher capacity than Perth’s CAT buses, the main CBD routes run more frequently (about every minute in some cases, compared to every 5 minutes for the best CAT buses), and are consistently busier. 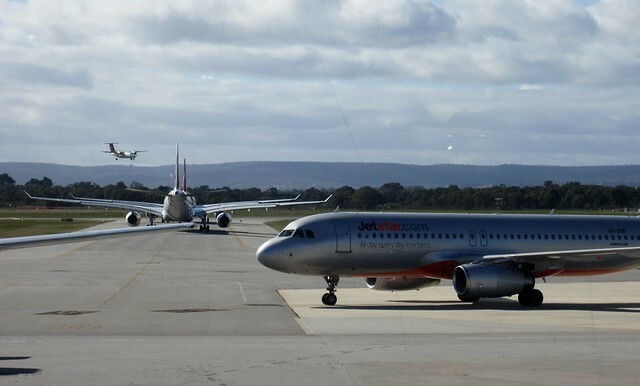 Secondly, Perth has no daily fares like Melbourne. In Melbourne a suburbs to CBD commuter or visitor pays no more than two journeys thanks to the Myki daily cap (the same applied with Metcard 10×2 hour tickets) or you use a Weekly/Monthly/Yearly Pass which includes travel all day. So if you’re paying for your trip to and from work, then travel around the CBD at lunchtime costs no more. In Perth this doesn’t apply, unless you hit the DayRider cap — but this only applies for travel after 9am. So Perth commuters would pay extra to travel around the CBD during the day if they had no free services such as the CAT and the Free Travel Zone. 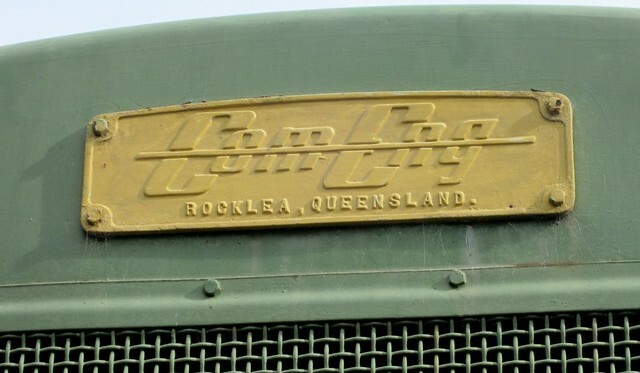 Indeed, I suspect that one reason Perth retains CAT buses is because of a long tradition of welcoming motorists into the central city — the slogan at one stage was “Your car is as welcome as you are“. I think we know Melbourne’s public transport system has its faults, but frankly, motorists who have driven to the CBD don’t deserve a free ride. Of course, Melbourne has the City Circle tram, and the Tourist Shuttle (which isn’t actually a shuttle). Doesn’t mean we need more free services though. I’d rather see that money go towards the outer-suburban areas where most PT services are unusable. We have a lot to learn from Perth — some ideas would work brilliantly; free CBD services aren’t one of them. After breakfast we had a walk around the beach close to our accomodation. It was windy, and pretty bleak to be honest. What we hadn’t seen the night before thanks to it being so dark was that there was a considerable amount of recent fire damage to the surrounding scrub. 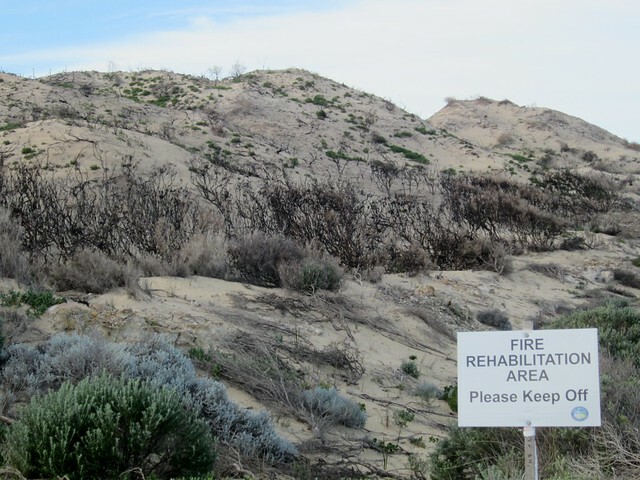 Apparently the fires late last year had got very close to where we were. 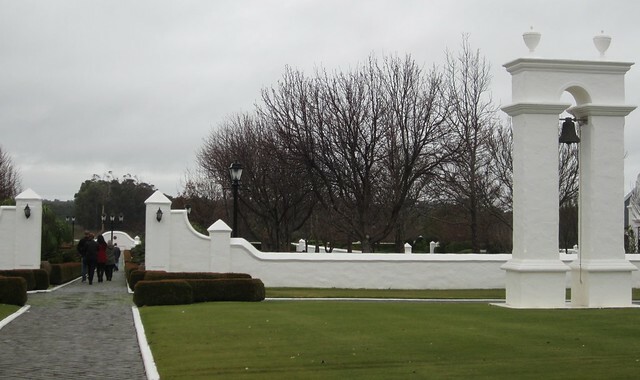 We jumped in the car and headed initially south back towards Augusta, filling up with petrol at an old-style service station (though not so old-style they served you) at Karridale. 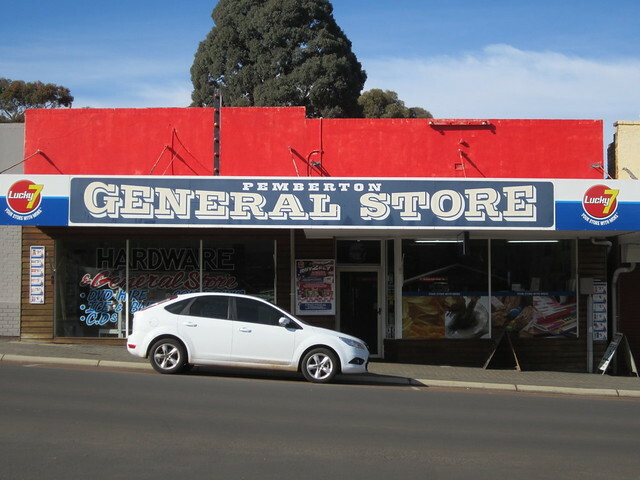 In fact there was another one nearby branded Ampol — a name I haven’t seen in quite some time; I thought they’d all become Caltex. 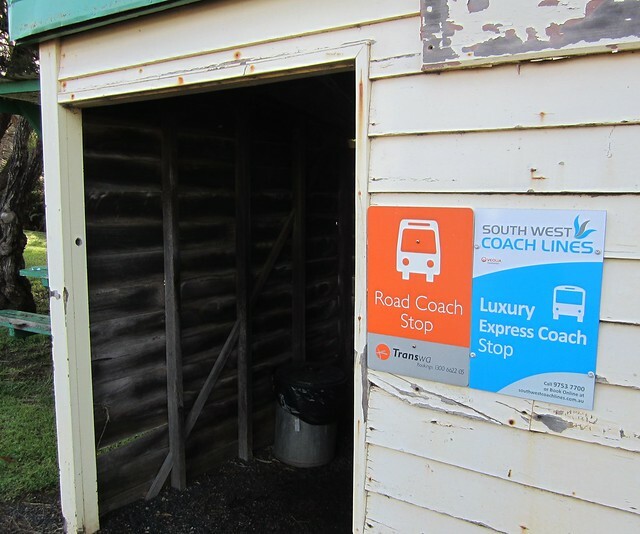 I had to laugh at a dingy wooden shack adjacent to the service station, which was a bus shelter for TransWA (the government operator) and also bore a sign proclaiming it to be a South West Coach Lines/Veolia (the parent-company of departed Melbourne train operator Connex) “luxury express coach stop”. I can only hope the coaches are luxurious, because the stop wasn’t. About 90 minutes on the road headed east (the Brockman Highway, I believe named after Kent Brockman from the Simpsons… or possibly not) brought us to our destination, the town of Pemberton. 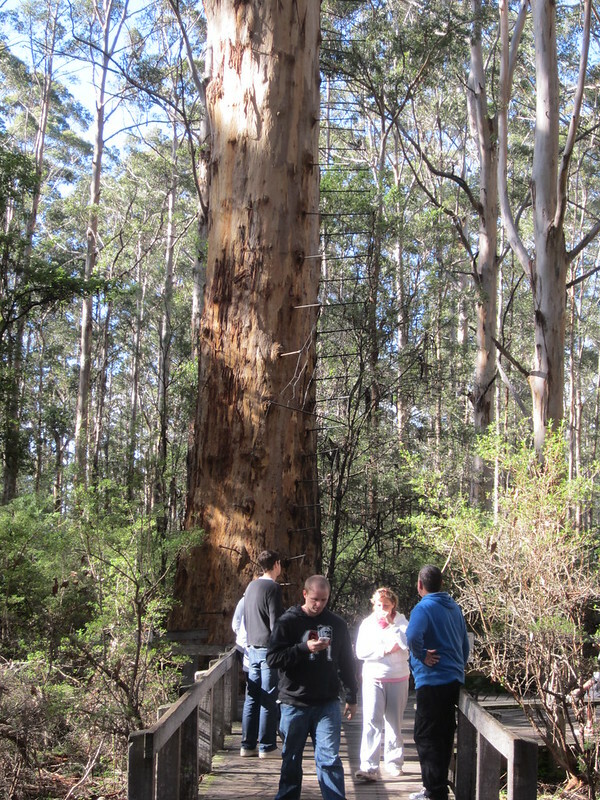 A quick stop off to use the loo and pay a national park entry fee, and we headed for the Gloucester tree. I must thank the readers of this blog, who had suggested the Gloucester tree. We looked up and around it, and finally decided that Jeremy and I would go up; Isaac and my aunt decided to stay on terra firma. The steps are just metal bars stuck into the tree. There’s also wire — I’d hesitate to call it a mesh because it’s so wide — to prevent you falling out or off the steps. Once I’d started, I tried not to look down. In fact if I’d been on my own there, after a few metres I probably would have been tempted to stop and go back down, but I kept climbing. 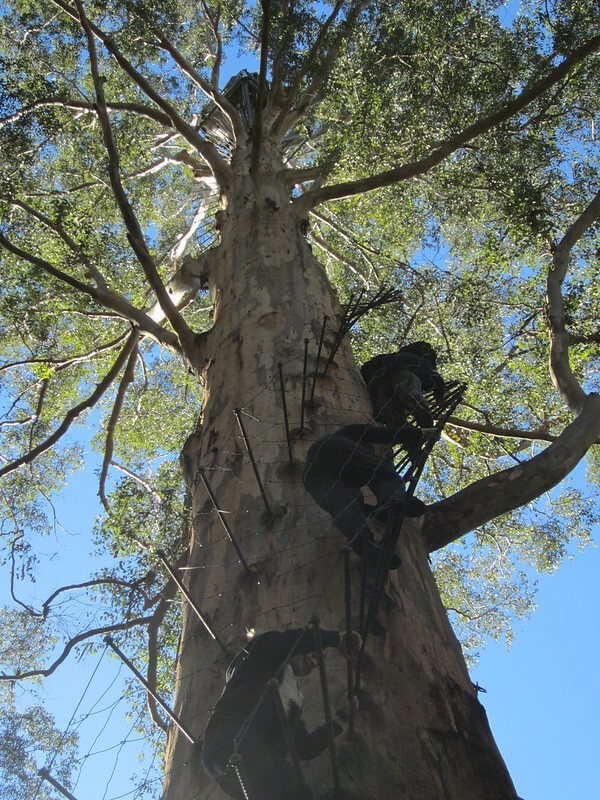 We encountered another group coming down, and “hugged the tree” while they went past. 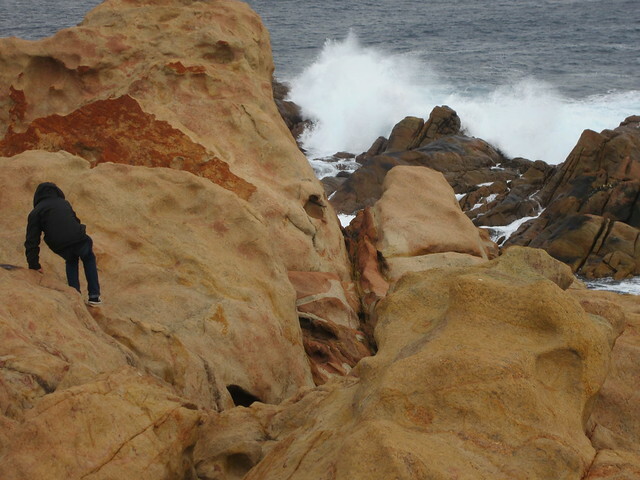 One guy remarked that he’s terrible with heights, and if he could do it, we’d be fine… so we kept going. 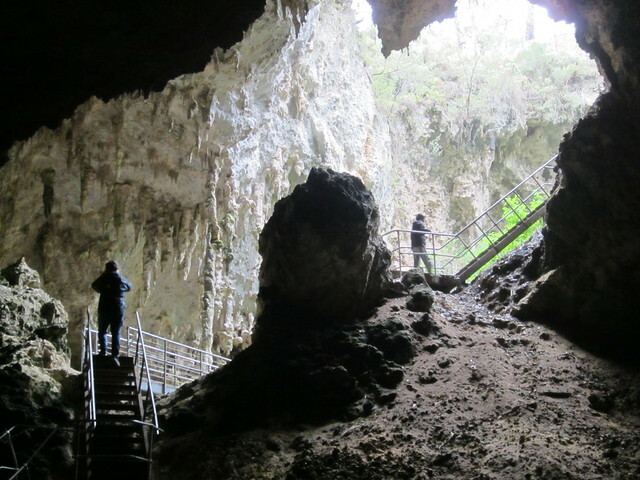 We reached first platform at the top. From there you go a bit higher via more steps and a ladder until you reach the very top. The view was terrific. 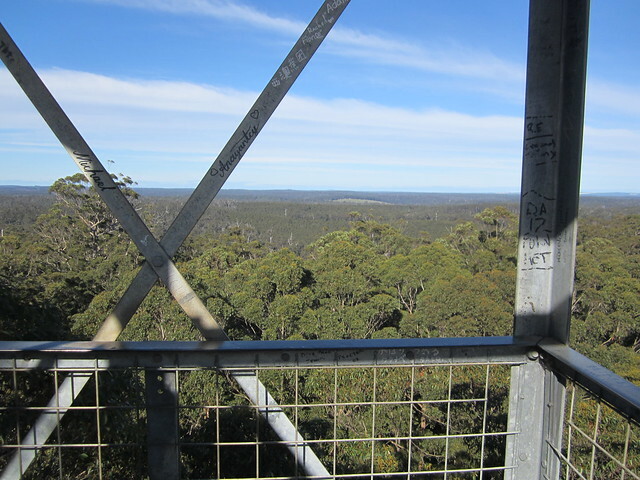 You’re above the tree tops (which is the point of course; it was designed as a fire lookout). 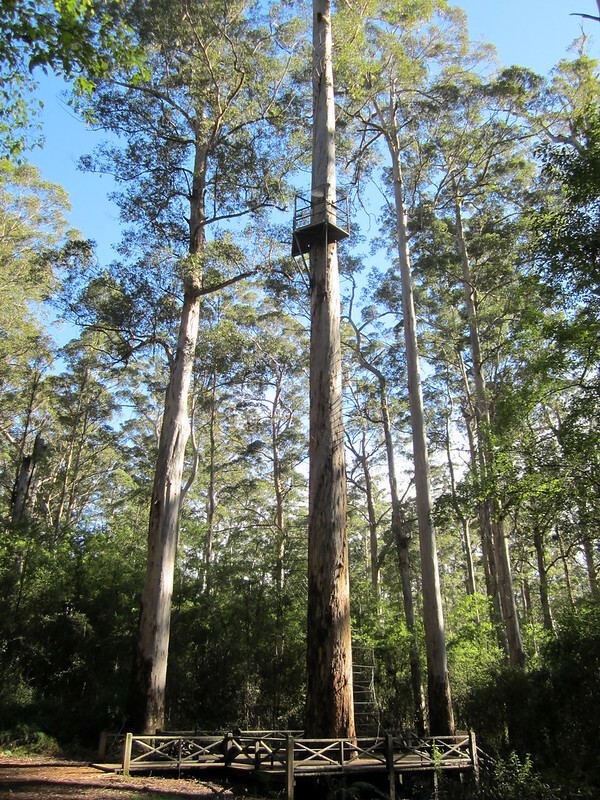 I could see the other trees moving in the wind, but the viewing platform appeared to be rock-steady. 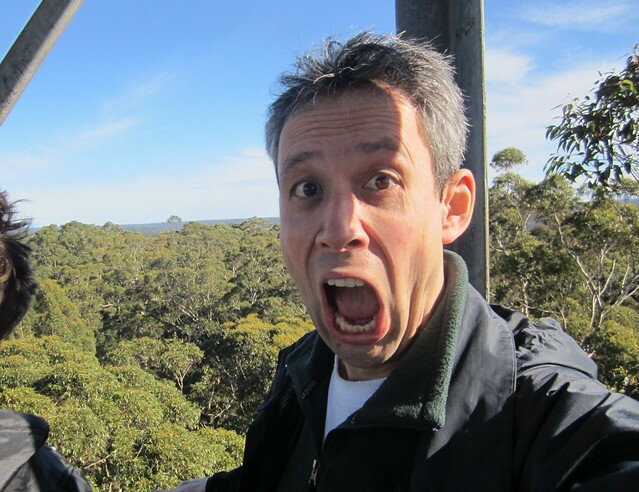 Then I realised we were above the tree itself, which made me a tad nervous. Another kid arrived at the top, having left his parents at the bottom and climbed up. After a while we headed down, which was harder, because you can’t see the next step without looking down. I tried to focus on just the steps, not the fact that we were many metres off the ground. It was something of a relief to get back to ground level. 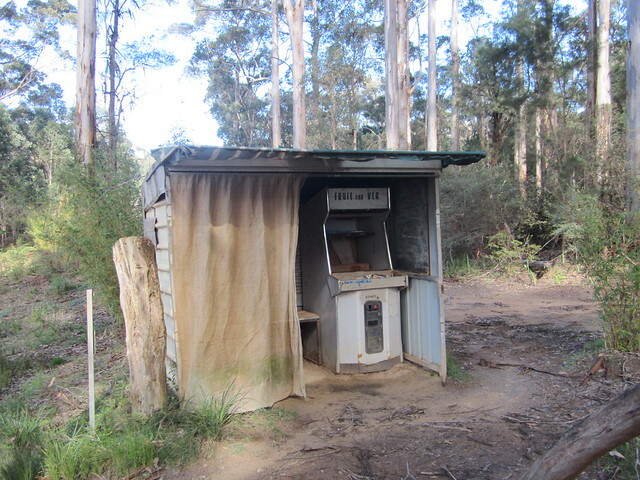 Nearby we found something odd: an old arcade game cabinet in a shed by the side of the road, with the signage “Fruit and Veg”. Odd. We went back into town for some lunch. 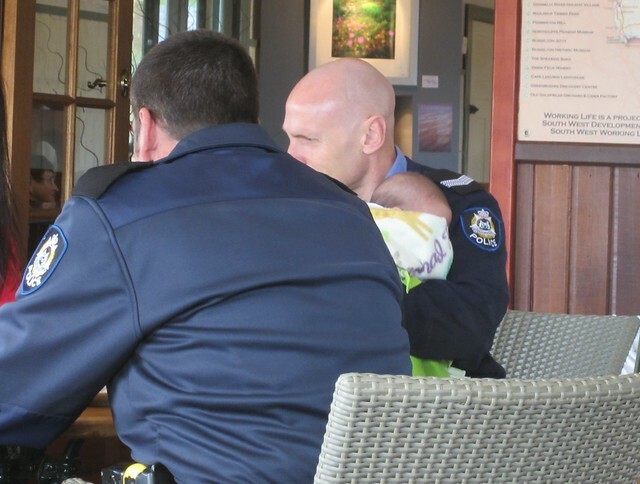 In perhaps a scene which you see more often in country Australia than in the big cities, two cops strode in, ordered lunch and ate it with their families, one holding his tiny baby on his shoulder. The intention was to then ride on the Pemberton tramway, which (similar to the one in Walhalla) heads out for a tour around the nearby forest. 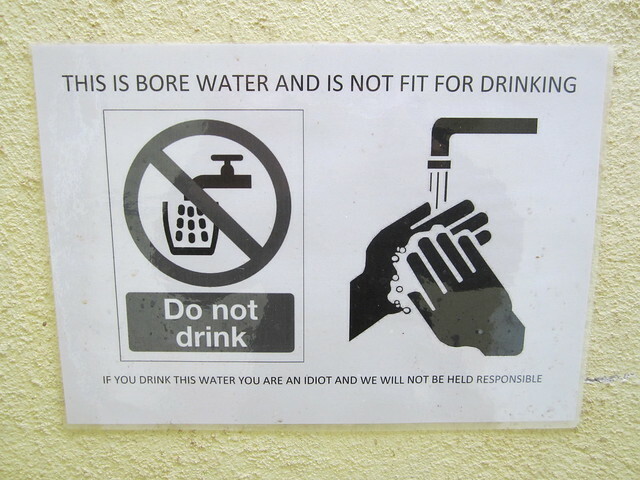 Alas, like Dave Evans, it wasn’t functioning on the day we were there. The lady in the booking office said there was some problem down the line, aluding to tree branches having fallen on it or something of that kind. Oh well. 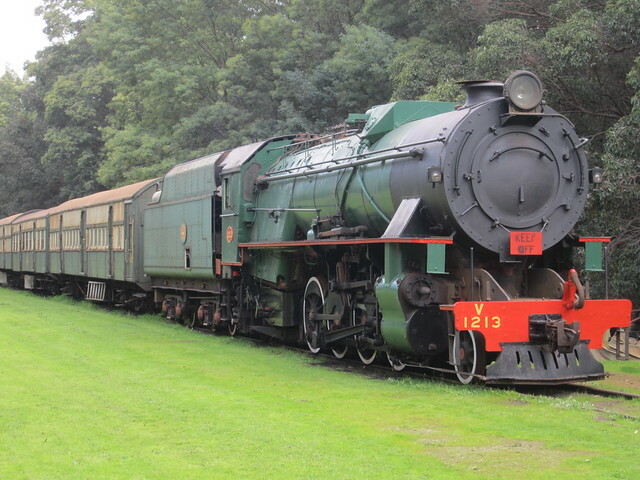 We took a look at some of the old trains stored nearby… there was one familiar logo on a diesel locomotive. 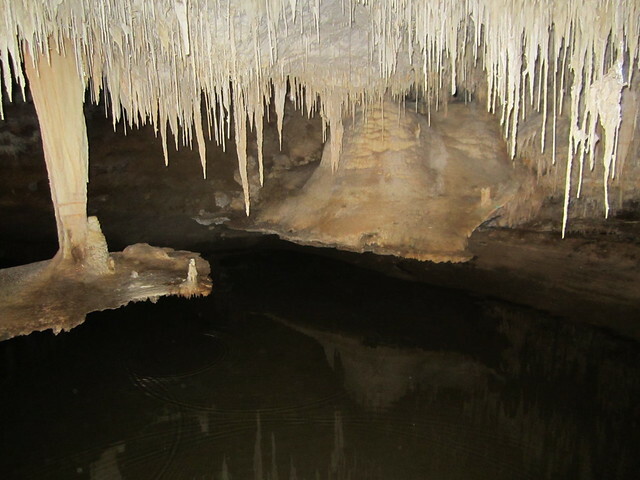 So we headed back towards Margaret River to start our run at the “Grand tour” of three of the caves in the area. There are many, many more, but my aunt reckoned these would give us a good taste of three distinct caves, without being overwhelmed/bored by them. 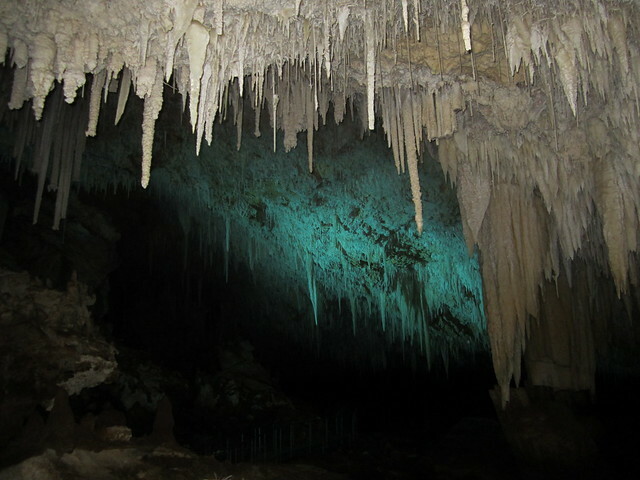 First was Jewel Cave. 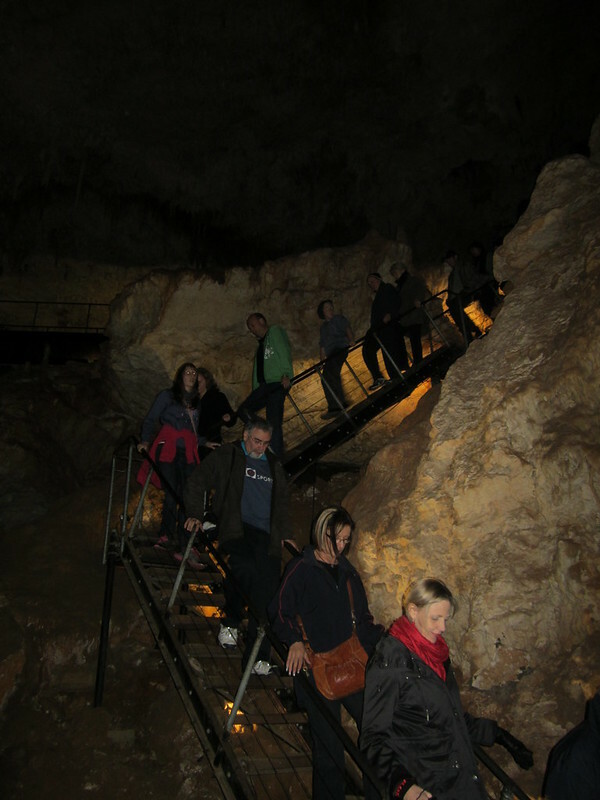 The tour guide moved us through the various parts of the cave, while explaining the features as we went. I don’t think I’ve ever been inside a cave before, but Isaac has — on a school camp. He said this was quite different, and much bigger. Quite spectacular.